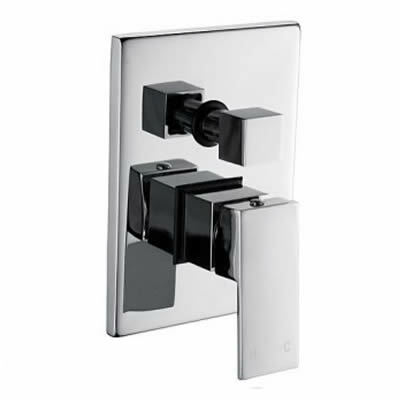 Enhance the appearance of your shower with the elegant Cube Shower Mixer with Diverter tap. 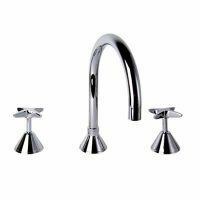 Available in a classic chrome finish, rest assure this mixer boasts contemporary looks that will become the focal point of any bathroom. The most important feature of the Cube Shower Mixer with Diverter is its brilliant design. It makes use of ergonomic design principles and features a lever which is easy to grip and operate with a single hand. It is also designed for easy and offers straightforward installation in any standard Australian bathroom. The Cube Shower Mixer is manufactured with solid brass construction, which makes it highly sturdy and durable. 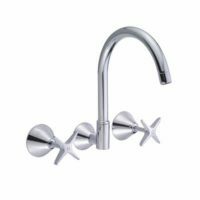 It is also equipped with a high-quality ceramic disc cartridge, which offers accurate control over the flow and temperature of water. Furthermore, as the name suggests, it features a diverter. This makes the Cube Shower Mixer an all-round performer both in looks and in functionality. To improve the looks and practicality of your shower on a budget, choose the Cube Shower Mixer with Diverter. Purchase yours today for the lowest possible price only from Ross’s Discount Home Centre showroom or online store.